Home » Blog » Komodo 11.1 is Here! LSP Support and Over 150 Improvements! Komodo 11.1 is Here! LSP Support and Over 150 Improvements! 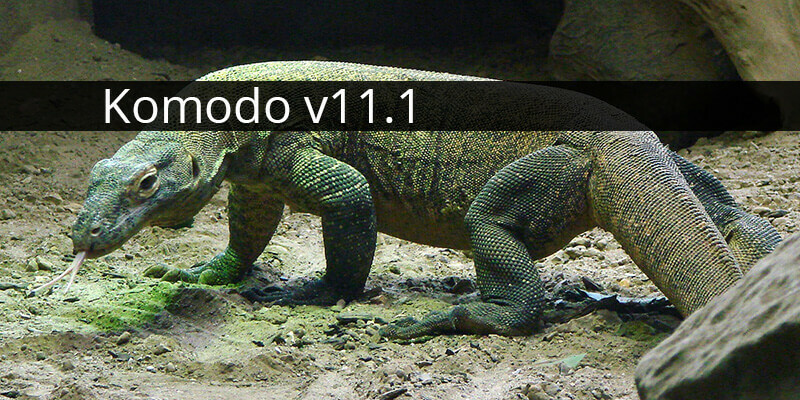 Komodo 11.1 is one of those updates that may not seem like much until you start using it. This update includes well over 150 bug fixes, quality of life improvements and one very interesting new feature: Language Server Protocol (LSP) support. For those unfamiliar, LSP is a protocol which facilitates editors to provide code intelligence. LSP does not provide any code intelligence itself, it just establishes the protocol to do so. You can now use Komodo to work with the many LSP solutions out there. We were able to add the LSP feature thanks to the large CodeIntel upgrade that landed in 11.0. Not only can users benefit from the enhancements to CodeIntel but they can now also use LSP. We wanted to provide additional tools for addon developers and other users to get the job done as well as provide a simpler way for you to add support for new languages. For example, as part of the new LSP support we developed the TypeScript addon, which enhances basic syntax highlighting offered previously. The TypeScript addon also serves as a simple template for addon developers to jumpstart their own LSP addon for Komodo. Want to see what else changed? Check out our release notes!